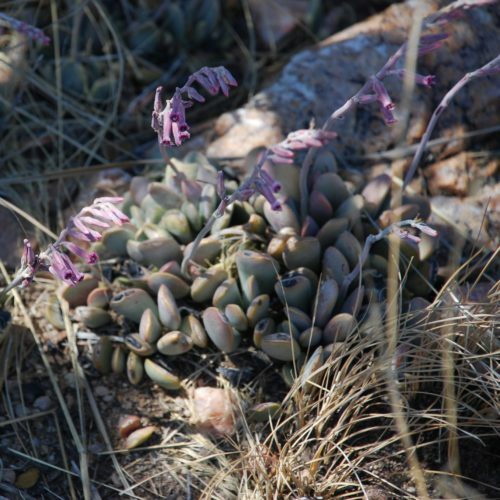 Adromischus umbraticola has circular, spirally arranged, mottled leaves that makes the little succulent quite attractive. 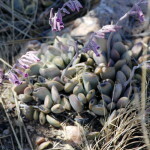 The inflorescence is visible above the grasses, where it mostly occurs. 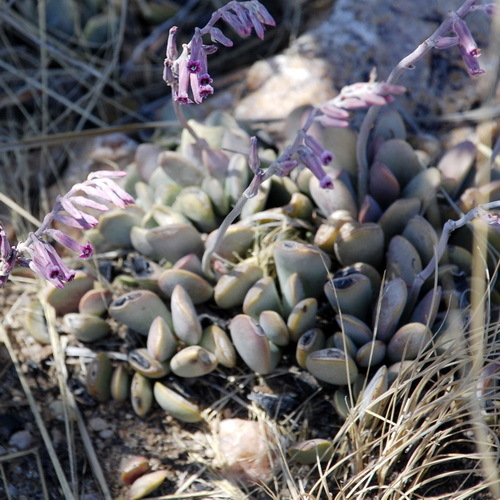 Adromischus umbraticola prefers a shady spot and normally occurs amongst rocks.